Redeye Jir, eres un auténtico maestro de los mods. Muchísimas gracias por esto, es una cosa que es múy importante para mi tal como muchos otros. Múy buen trabajo! Felicitaciones sobre tú gran obra!! Super ! I hope some day, we will have the SB-2 Bipala and the Trimotor of this pack as separate downloads too ! Many thanks to all concerned for bringing SCW into 4.12 ! A bit off-topic, I know, but I have been using your Spanish maps for some time now, and the more I use them the more impressed I get. I built some missions based on the Battle of Brunete, and what did I find outside Brunete: yes, of course the church and the cemetery where the remnants of Líster's 11th Division fought on July 24-25 is there! The detail work and the attention to history in your maps is GREAT! Hi RedEye_Jir, wonderful mod!! Many thanks for your work!! Is duplicating the loadouts of the Cant Z.506B and preventing its cockpit from showing up. Can you please confirm ad update the class? 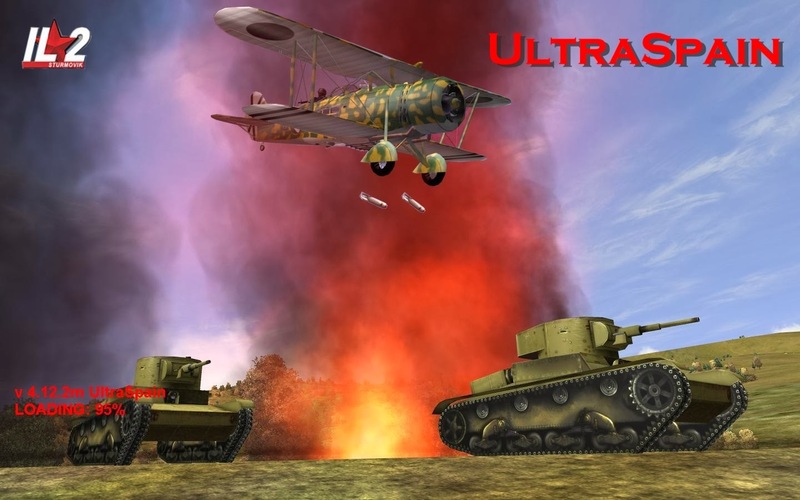 This way the file BF1DF4AC1601D87E only works when is activated the mod UltraSpain.